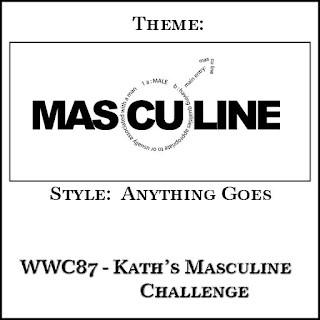 It's Masculine challenge week here at Watercooler Wednesday Challenges. Kath is hosting and it's an "anything goes" kind of card. I love making "anything goes" projects. No specific direction; you are free to let your mind take you where it will when creating. 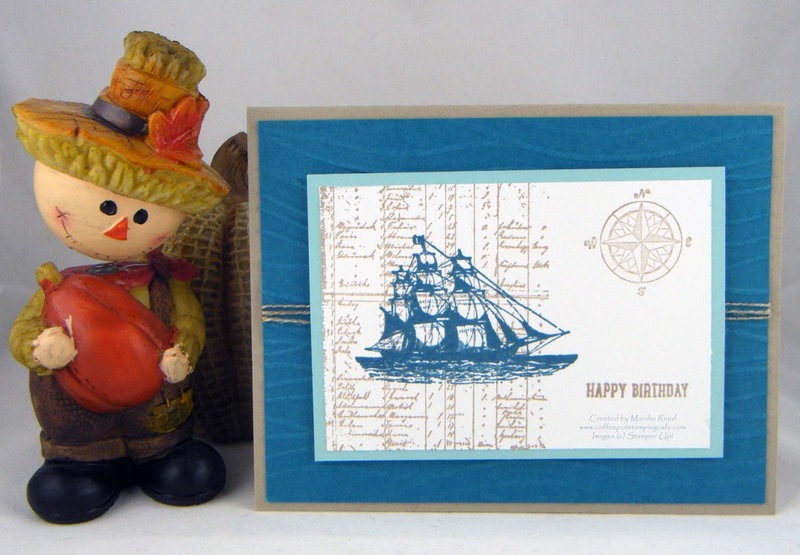 For my card, I chose to use a retired stamp set, The Open Sea. It is one of my favorites and it works well for a masculine card. Since I have my three sons' birthdays coming up over the next few months, it was a perfect time to design a card for one of them. For all the challenge details and to share your project, visit Watercooler Wednesday Challenges by clicking the image below. We'd love to have you join us. You have until Monday, October 3rd at 6:00 p.m. Central Time to link your project. I'm a big fan of the Open Sea and just love the variety of cards that I've seen created with this set. Yours is no exception and it's perfect for this challenge. Great masculine card! Thanks for sharing. Thank you, Penny! The Open Sea is a great go to for a masculine card. Marsha, that Open Sea stamp set remains one of my favourite masculine sets. Love with you've done with it. Thanks, Heidi! I don't use it as often as I should. I find this such a peaceful card - I could sail away on that ship. Thank you, Fiona! Me, too! I love to sail.